APSA is thrilled to offer a new feature to members: virtual issues containing great articles from APSA journals! The association is partnering with Cambridge University Press to offer these new digital packages to members and the public. With this new feature, published articles are grouped together by topic, timeline, or another relation and then published again to reach new audiences and revisit important research. APSA looks forward to releasing multiple virtual issues each year! Read the review's conclusions here! Read the virtual issue here! 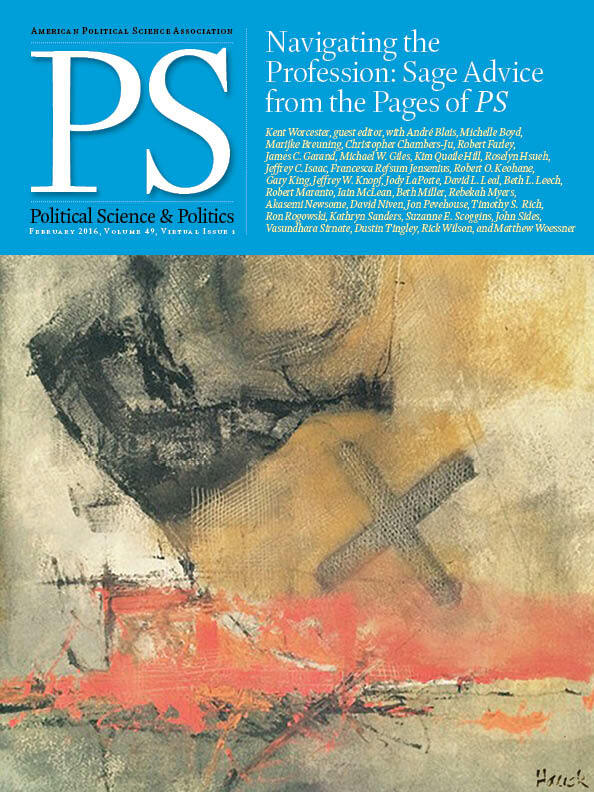 The second virtual issue of PS: Political Science & Politics is now available online! Called “Capitol Hill Insights,” the issue features articles written by alumni of APSA’s Congressional Fellowship Program (CFP) and published in PS between 2010 and 2015. Each of the 24 articles pivots to a unique perspective of the fellowship experience, providing rich details and first-hand anecdotes that clarify and explain how Congress and government work. About the Congressional Fellowship Program: Established in 1953, the CFP brings select scholars and professionals to Washington, DC, each year to serve fellowship placements in congressional and other offices. The articles gathered here—written by alumni who are political scientists, journalists, health policy specialists, and other domestic and international professionals—illustrate the unique first-hand insights into Congress and the legislative process provided by the fellowship experience. Read Capitol Hill Insights today for free here! Read the report for free at Cambridge University Press here and learn more at APSAnet here!